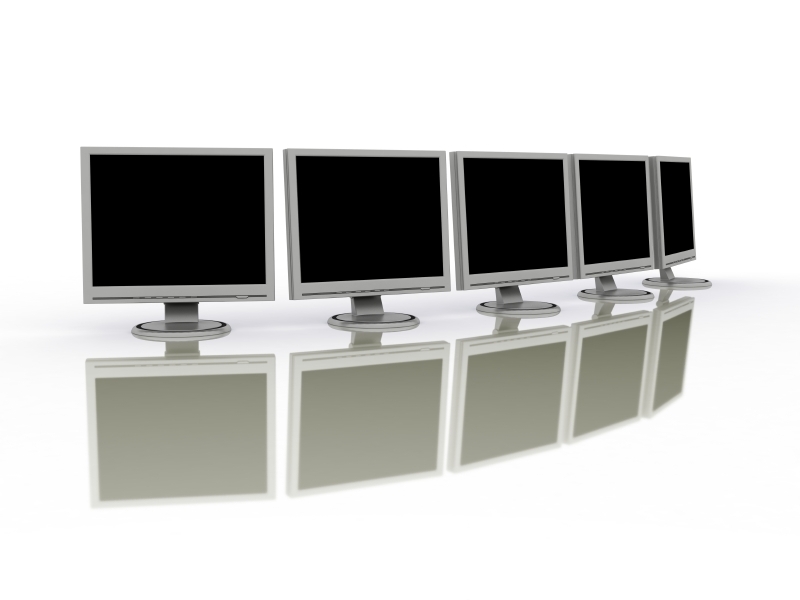 One of the main questions we get asked by our members is what sort of technology or service they should be working with. It wasn’t that long ago that you’d need an in-house development team to power your internet marketing. Now, there are so many good and reliable web services out there, that it’s entirely possible for a small business to get big business results without their own tech staff. We use a number of different online services here at VisibleU, and we can’t give you a much stronger endorsement than to let you know what we trust our own business with. So this will be the first in a series of posts where we highlight a web service or piece of software we use regularly. How many unread emails do you have in your in-box and what was your reason for ignoring them? Has your mother been emailing about how you don’t call enough? Are you ignoring online bills? Are you being solicited by men who need you to wire them $100,000 because they have been unjustly exiled from their home country? 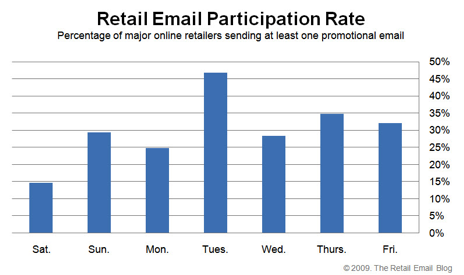 Many recipients either unsubscribe or simply stop reading emails from online marketers. Year-after-year, in-box clutter has been the number one reason people resist emails, but this year, things have been turned on their head. A 2008 study from Marketingsherpa’s email summit in Miami has determined that in-box clutter is not the biggest problem – the problem is relevance. Leading up to Valentine’s Day, Cupid has probably unleashed an onslaught of crimson email offers upon your inbox. So how can your business make sure it effectively uses email marketing to reach its customers over the competition? For answers to this question, below are some key insights about when to send your emails so your company can capture consumer hearts and minds through February 14th! Knowing when to send your emails is extremely important, especially for Valentine’s Day. In a recent study by RetailEmail.com, Valentine’s Day experienced the greatest amount of retail email traffic of any holiday. Specifically, the majority of emails are sent on Tuesday, Thursday and Friday making them the worst days to send out emails. The best days to send out emails are on Monday and Wednesday when they have the greatest chance of engaging with the undivided attention of your customers. The results of a last-minute e-mail campaign earlier this month for client Sarabeth’s Kitchen just goes to show that send days and times are all relative. Especially when Oprah is involved. When we learned that Sarabeth’s Legendary Spreadable Fruit was featured in the current issue of O, The Oprah Magazine as one of Oprah’s Top 10 All-Time Favorite Gifts, we knew we had an opportunity on our hands. Thus, we wasted no time putting together an e-mail deal to celebrate this special recognition. Along with the requisite quote from Oprah herself heralding the brand as “the only jams I have in my house,” the e-mail offered 10% off a Sarabeth’s order of $50 or more with coupon code “OPRAH08” at checkout. The e-mail was sent on a Tuesday – which also happened to be a federal holiday – at 6 p.m. The subject line read, “An Oprah All-Time Favorite Gift: Sarabeth’s.” Additionally, we created a sense of urgency by limiting the campaign to three days, ending at midnight that Friday. The open rate was better than expected at just shy of 30%. Of those who opened the e-mail, almost 20% clicked through links that led to Sarabeth’s home and products pages. To put these percentages in perspective, the open and click-through rates are among the best results we’ve seen from a Sarabeth’s e-mail, and the number of total people who opened the e-mail is the highest from any of their campaigns. All in all, we couldn’t have expected a better outcome from a spur-of-the-moment campaign – the success of which was undoubtedly driven by analyzing the results of Sarabeth’s past campaigns and, of course, the power of Oprah. When is the Best Time to Email? 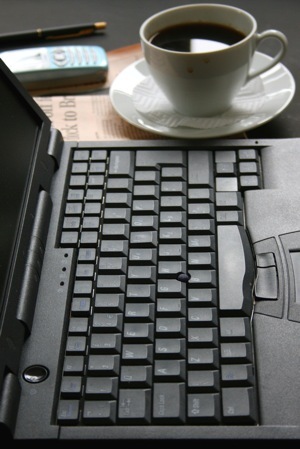 Do you take email with your coffee? According to an AOL-sponsored survey conducted by Beta Research Corporation, almost 1 in 4 people check their email when they wake up in the morning. And nearly one-third of the respondents reported that they checked their email throughout the day, even at work. In fact, more than 70% of the respondents stated that they checked personal email at work. In June 2008, the Direct Marketing Association surveyed marketers to see which media they were using for their campaigns. When compared to 3 years ago, 75.8% of the respondents reported using more direct email for campaigns. This rate was higher than the use of online video campaigns and search engine marketing. Since marketers are using email more than ever, and web users seem to be checking their email at various times through day and night, when is the best time to send your email campaigns?